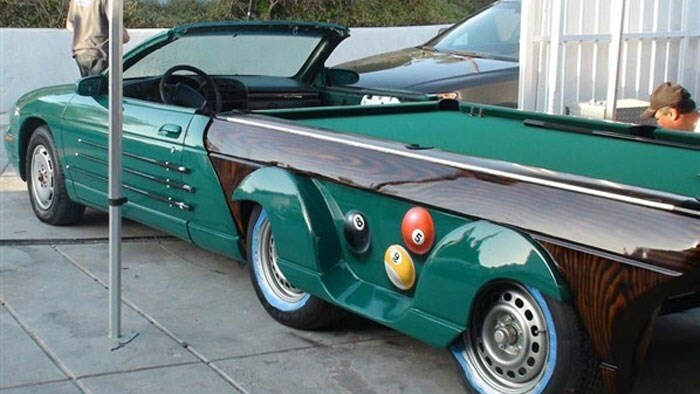 Discovery channel's Kustomizer has built the first ever car/pool table hybrid. The portable pub game is based on a V6 Chevrolet Monte Carlo and is the brainchild of Kustomizer's Vini Bergman. Despite its added load, the Monte Carlo manages to produce 160 kW. However it's doubtful that the modifications will still allow the ute to reach 100km/h in under 8 seconds as it originally could. The pool table can also be removed to reveal a fridge, which can store all the neccessary refreshments for the snooker enthusiast.